Pakistan and Iran on Thursday said a multi-billion-dollar gas pipeline between the two countries was pressing ahead on schedule despite US objections to the project. The two signed an export deal last year for Iran to supply natural gas to its eastern neighbour from 2014, with sales to reach 750 million cubic feet (21 million cubic metres) to one billion cubic feet per day by mid-2015. The 7.5 billion-dollar gas pipeline project has been trumpeted in Pakistan, which produces just 80 percent of the electricity it needs, as a partial answer to a crippling energy crisis which has led to debilitating blackouts and suffocated industry. But Washington had warned Islamabad against signing the agreement with Tehran, saying the US was preparing laws that could affect the project. 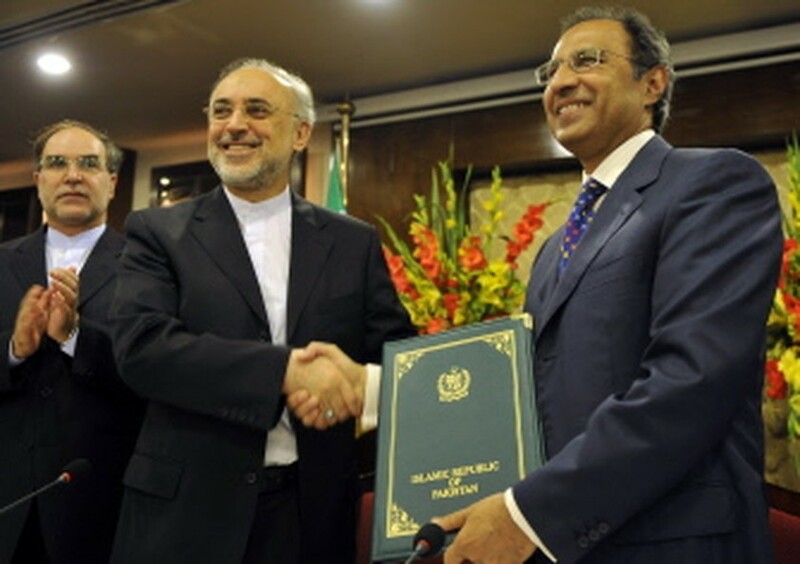 "To the best of my knowledge, the project will be ready in 2014," Ali Akbar Salehi, Iran's foreign minister, told reporters after a two-day meeting of a joint Pakistani-Iranian economic commission in Islamabad. "The project has almost reached the borders of Pakistan," he added. Pakistani finance minister Abdul Hafeez Shaikh said that "the project is underway and Pakistan is committed to the pipeline". The 900-kilometre (560-mile) pipeline is being built between Asalooyeh in southern Iran and Iranshahr near the border with Pakistan, and will carry gas from Iran's South Pars field. The project, when initially mooted in 1994, proposed to carry gas from Iran to Pakistan and through the country to India, but the latter withdrew over repeated disputes on prices and transit fees. Salehi said Pakistan's Prime Minister Yousuf Raza Gilani will visit Iran next Monday to meet Iranian President Mahmoud Ahmadinejad and other leaders.